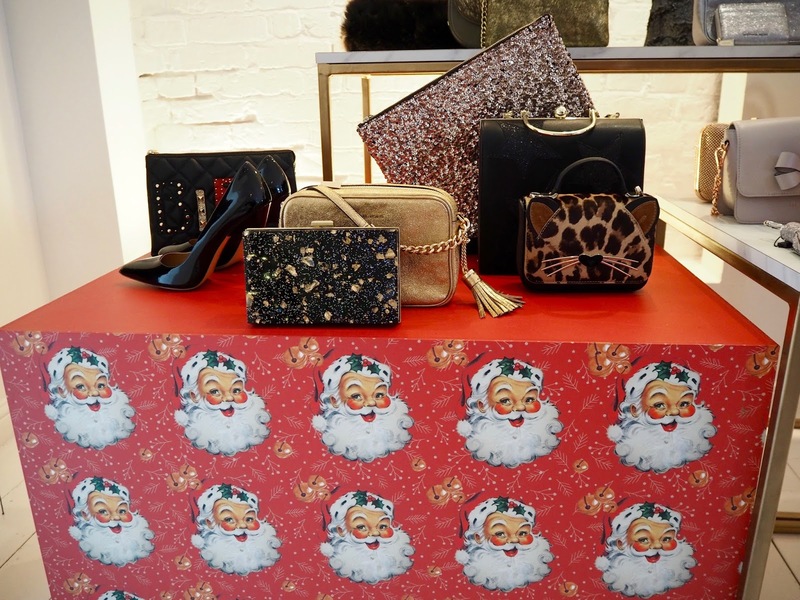 Back in July, I was invited over to London to preview the Christmas collection for 2017 at House of Fraser. I held off blogging about it until now because so many of the items I saw and fell in love with weren't due to hit stores until autumn....and well, it's a Christmas preview and I can't really deal with Santa stuff until the kids go back to school. 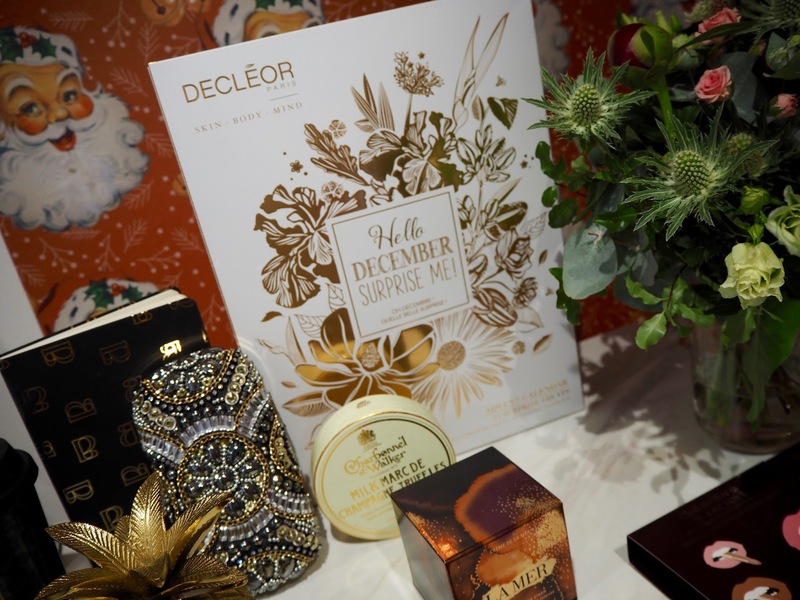 I also wanted to give away my goody bag from the event but it was way too Christmassy to show you before now - more on that further down this post! 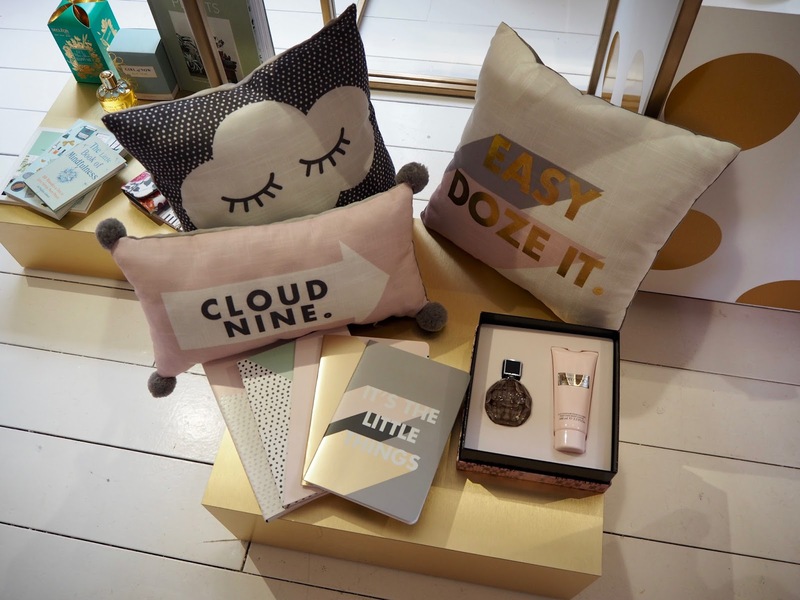 So here are the things I completely fell in love with at the press show. Where they've come into stock, I've added a link but if they've not dropped yet, there's no link. 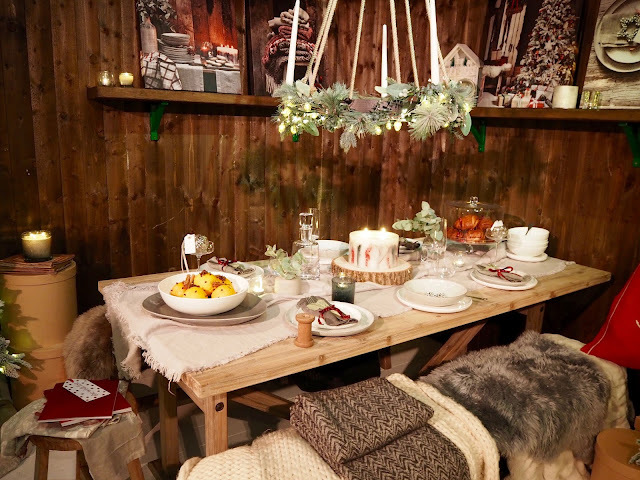 There was tons of Christmas decoration inspiration with different rooms done in different styles.. 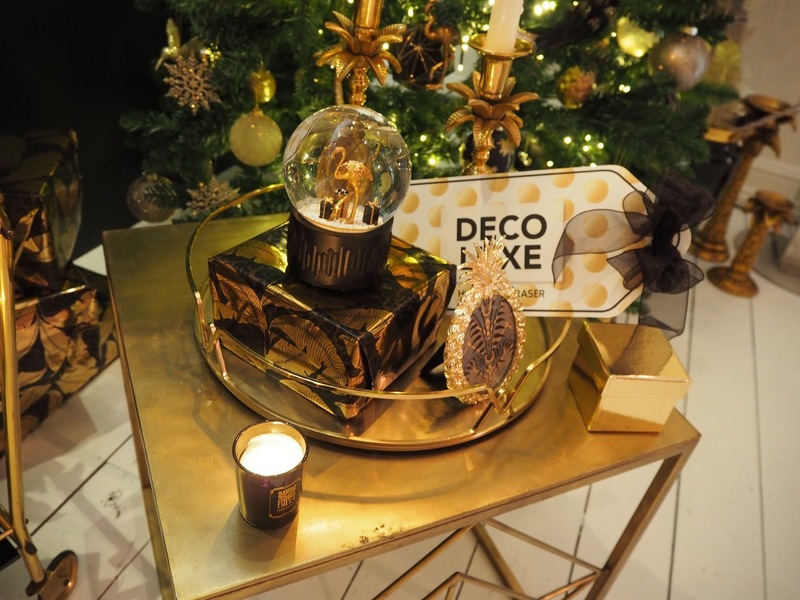 The giftware room was my favourite though..
And we got a sneak preview of the Charlotte Tilbury advent calendar! 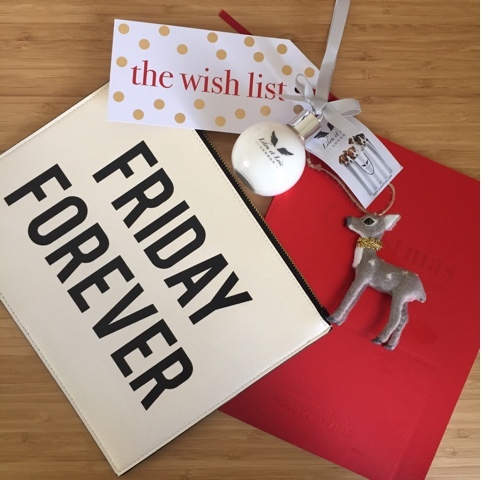 And to celebrate the start of all this fabulousness coming into stores, I'm giving away my goody bag contents from the day along with a little extra I bought myself - a House of Fraser voucher. I really do appreciate that if it wasn't for everyone who reads this blog, I'd not get the chance to go to these events so I want to give a little back. Competition closes on Saturday 9th at 00.01(i.e. Friday night) and it's open internationally. Rafflecopter will chose a winner at random and they will be notified by email. No cash alternative. Christmas already!! I love House of Fraser - would stock up on their Christmas decorations as there are British things that we can't get here!!! 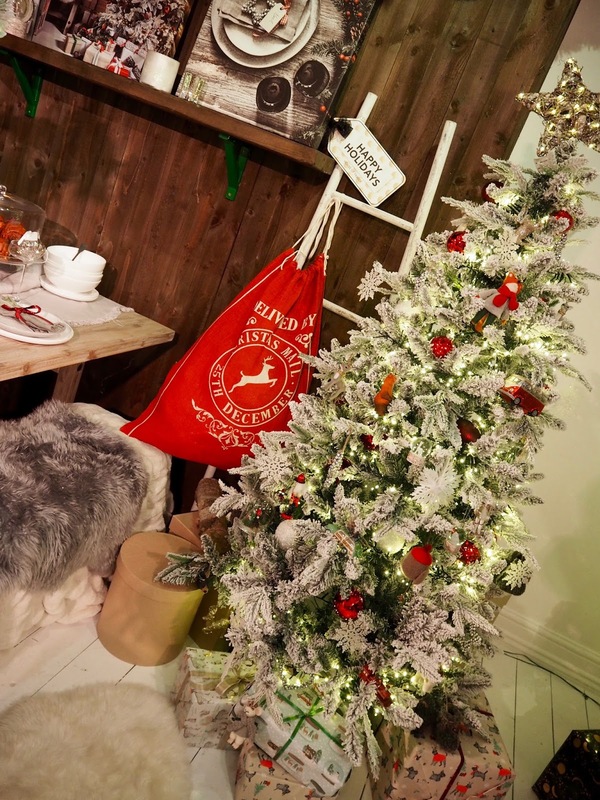 The Christmas decorations department...that reindeer is so cute, I would want more! I think I'd be tempted to put it towards the Charlotte Tilbury advent calendar! Or the silver sparkle clutch! We were counting days until Christmas yesterday!!!! Only because it's my daughter's 6th birthday on the 21st & she was wanting to know how long she has to wait! "Ages!" Was my reply! But something tells me it will fly by! Would definitely be looking at some Issa dresses for Christmas part season. I Would probably end up buying Christmas decorations!! 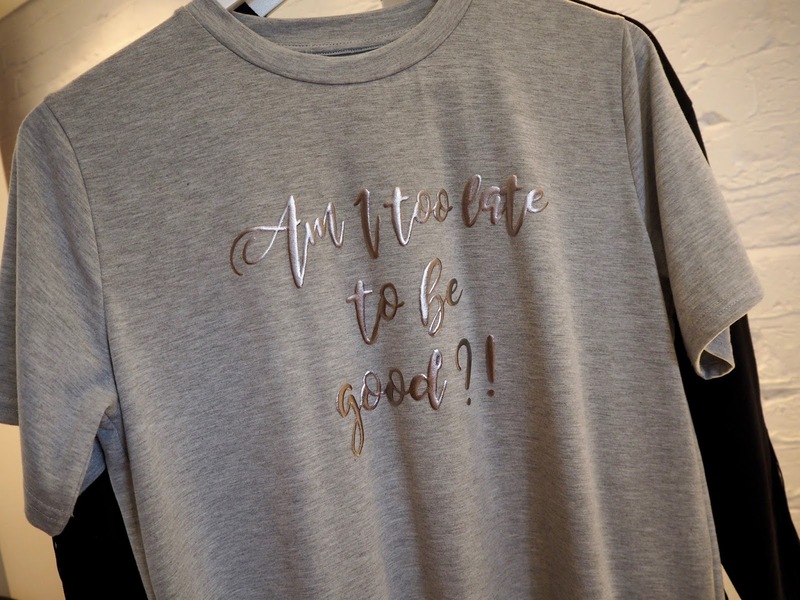 The slogan t shirts and jumpers are gorgeous. So many tempting things! Oh definitely the beauty department. I'm still searching for the perfect foundation 🤣 Thanks! Never can resist the beauty department! 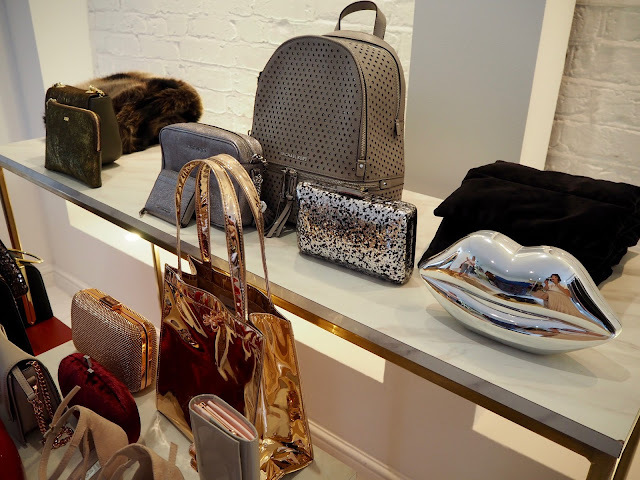 Accessories - can never resist a handbag! Definitely accessories, cosy scarfs and bags, or maybe something special for my new grandchild expected on 25th December ! I would like to spend my voucher in Bags & Luggage department. Great competition. Definitely a bag for me! Gorgeous bags though I'm slightly horrified that Christmas is being mentioned already �� I should spend a voucher on Christmas presents but I'd probably hit the beauty hall. I love the lips handbag. Love this - thanks for running the competition.....I would definitely spend it on shoes. I would spend it on make up - I need a make up overhaul ! Fantastic giveaway Avril - thank you! Great giveaway, definitely the accessories dept - probably on the MK cross body bag! 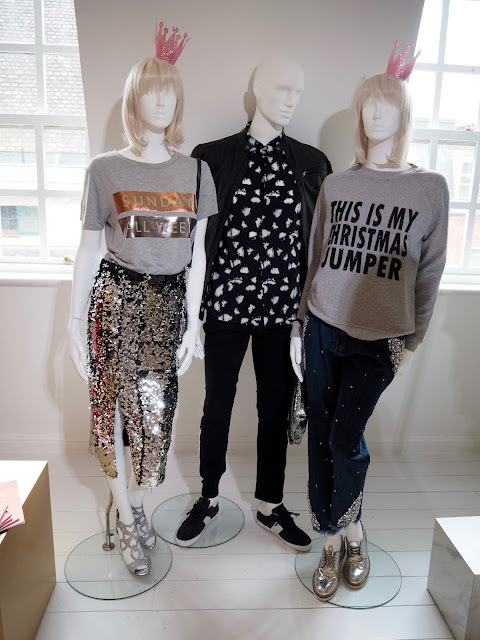 Love the Christmas jumpers and I will definitely be putting the Lulu Guinness bag on my "please can I have for Christmas" list!! Shoes! Some new winter boots are needed! The homeware department. I love planning our Christmas theme especially the table settings. Loving the christmas tees and sweatshirts! So excited for Christmas already. If I won I'd spend the voucher on so,e gorgeous perfume. Oh goodness me - I would head for the gifts but would have a hard time getting past the beauty hall! 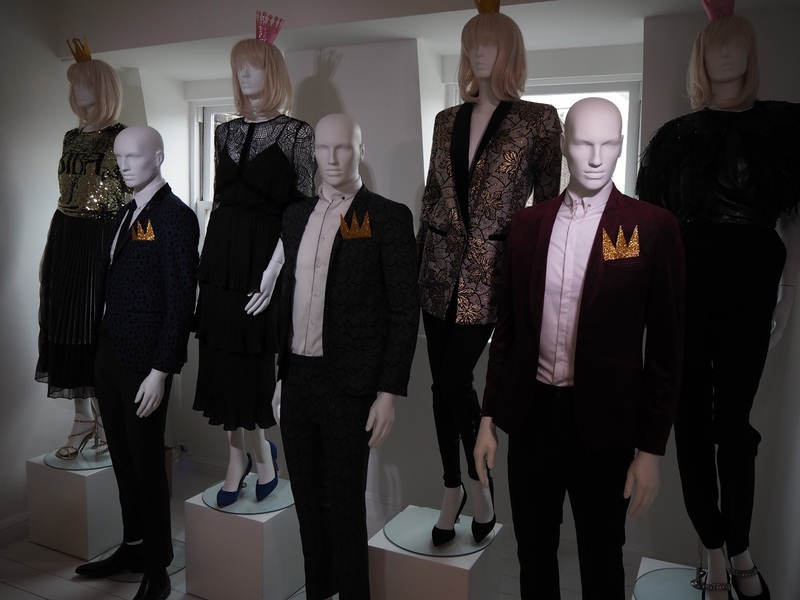 Definitely womenswear to look for something amazing for christmas party season. 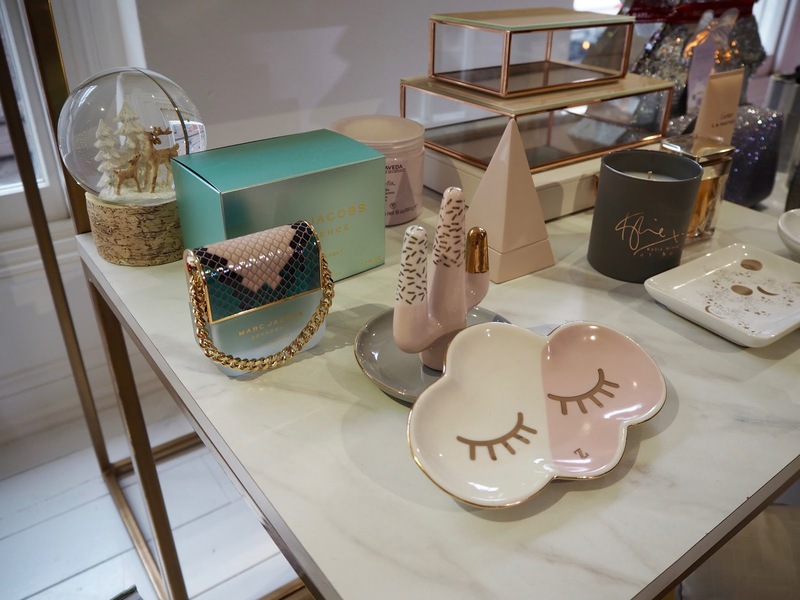 Oh would love the cloud plate and while there(in the home accessory department) could spend the rest very easily! The shoe department - a girl can't have too many shoes!